← Character Contest 39 Dinomarine Team! An epic fail weekend as I did not post a Sketch of the Day on either Saturday or Sunday. But, better late than never -- here's the one for Saturday. 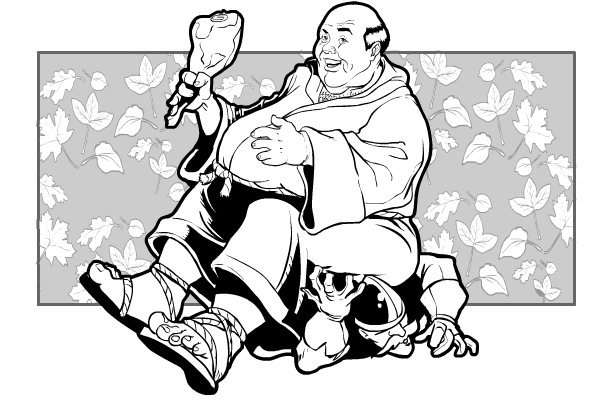 If you couldn't tell, it's Friar Tuck sitting on a Sheriff soldier.